Brand drugs in the U.S. have two main methods of protection from generic competition. 1) The U.S. Patent and Trademark Office protects innovation by awarding patents. 2) The U.S. Food and Drug Administration offers exclusivity protections. The following analogy helps to illustrate the difficulty in predicting a generic launch date due to complex brand protections. Think of the brand drug as being protected by a safe. The door to the safe may have one or more locks. Each lock has a timer that is counting down. Once the time runs out on the lock, it opens and remains open. Those locks represent the patents and exclusivities that protect the brand from generic competition. There are two main scenarios for this analogy. First, without doing anything, all of the locks will open automatically at some point in the future. Generic drug manufacturers could wait for all patents and FDA exclusivity to expire. For the opportunists and/or impatient, actions can be taken to open the safe early instead of waiting. 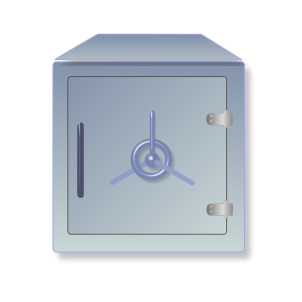 To open the safe early, you must have certain capabilities in picking locks (proving invalidity or non-infringement in a Paragraph IV challenge). The type of lock (a patent protecting an indication vs. a patent protecting a dosage form) must be taken into consideration. Some locks (exclusivities and patents) are very advanced and essentially unable to be bypassed in the time remaining before it opens automatically (expires). Other locks are easily “picked” once you have the basic knowledge and capabilities. Each brand drug will have a unique combination of patents and exclusivities that may have varying expiration dates (timed locks). Beating a patent (picking a lock) on one drug may or may not help you with future patent challenges. All of these factors demonstrate why it is so difficult to predict a generic launch date. Patent life and drug substitution are two of my favorite topics! So much so that I wrote an app dedicated to predicting(within the bounds listed above) reasonably expected patent expiration dates. It’s called RxOrange and can be found on the App Store! Thanks for the comment! RxOrange sounds like an interesting app.